Black Friday is coming and we all know this is the perfect time to hop on all those deals! You know there are items that you have been dying to get your hands on – but just didn’t want to pay that much. Especially with those smart home toys, huh? If that’s the case, it’s your lucky day because Amazon has some sweet smart home Black Friday deals that you are going to want to see. 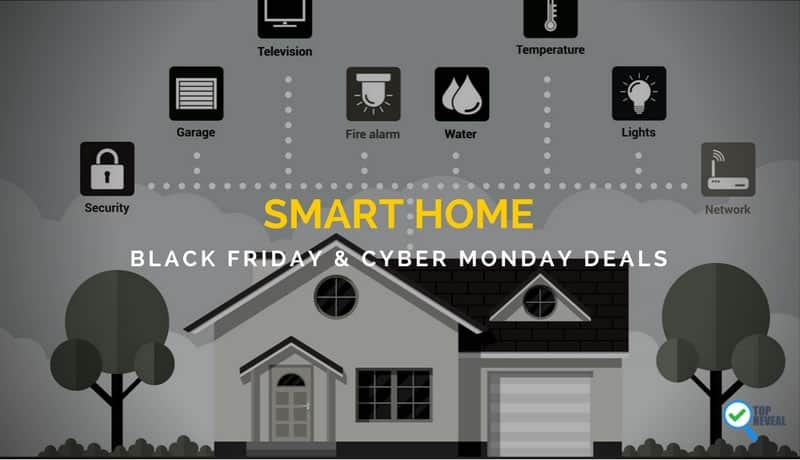 2 What are the best Smart Home Black Friday and Cyber Monday 2017 Deals? 3 What is Black Friday? 4 What’s Cyber Monday All About? Who do smart home appliances make a great present for? Maybe not grandma. However, if you’ve got young homeowners around your family and friend group they would probably be interested. Millennials love this stuff but the older group you know might be resistant to the idea at first and then come around as they realize how convenient smart home devices are. And, of course, if you already know someone who has a few, there’s an easy opportunity. What are the best Smart Home Black Friday and Cyber Monday 2017 Deals? Looking for a smart deal on a smart device? Then look no further because the all-new Echo Plus is just what you need. Featuring a built-in smart hub, the Plus can control anything in your home, from smart lights to security cameras and even your TV. That’s in addition to everything else it can do, just like the other Echo products can. Which means you’re really getting three products instead of one: a virtual assistant (hello Alexa! ), a Bluetooth speaker, and a wireless smart home hub. Oh, and it’s stylish too, with a sleek outer casing that looks good in any home; which is why this is one of our favorite Black Friday Echo sales. A Sensi Smart Thermostat is a gadget that works with Amazon Alexa to control your home’s HVAC system smarter than ever before. With this thermostat installed (quickly and easily we may add), your thermostat will be able to sense your location and adjust based on the temperature outside as well as correct itself according to the 2-day schedule that you give it. Talk about savings on electricity! With an Amazon Echo, these smart plugs can be installed so that you can control them with just the sound of your voice! If you had a lamp plugged in, you could tell Alexa to turn it off. With a TV plugged in, you could lose track of the remote and still turn it off without getting out of bed. The uses for these plugs are just as clever as you make them. Once connected to a Huge Bridge hub, these flood lights can be configured to perform a variety of functions easily. You can dim them, set them to motion sensing, and simply turn them on and off whenever you decide. They work with Alexa, of course, so you can handle all of these options with just your voice. And they’re just $100! That’s nothing compared to the upped security you will have with these around. 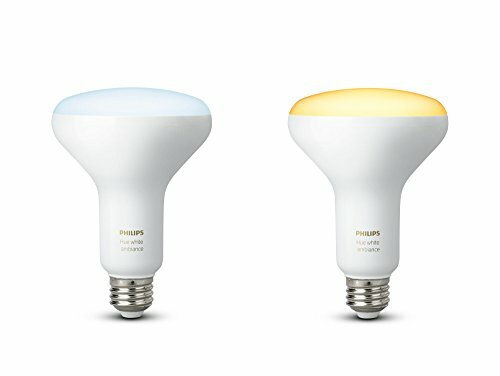 This is a unique item in the smart home Black Friday sales aisles that you will see. 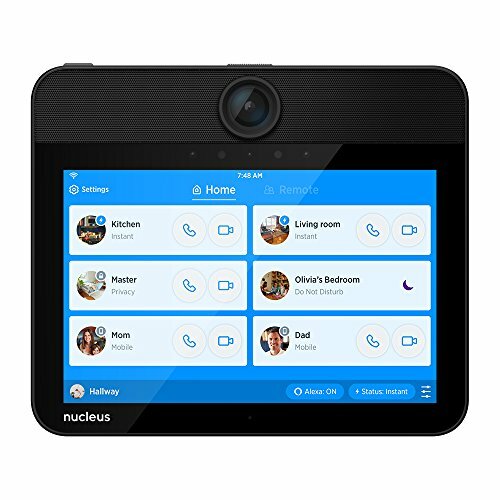 It’s a personal video chatting device that gives you the ability to call anyone – from anywhere. Yes, anywhere. Not even just anywhere in your home. Younger and older folks love it because of how simple it is. It has a simple interface and even simpler functionality so that grandma and the kids can use it. Imagine being able to see, hear, and speak to whoever is on your doorstep from anywhere in the world. 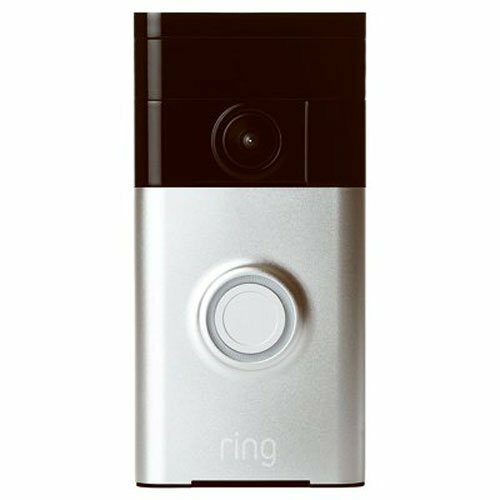 Now, stop just imagining such technology and get down to Black Friday and get a Ring Video Doorbell because that is exactly what this product does. It gives you a crystal-clear HD video feed to your smartphone whenever you want! You can see how this would be a massive security upgrade compared to your current doorbell. Here’s our favorite Black Friday deal for smart home devices – the Echo Dot. The Echo Dot does everything an Echo does (minus the speaker) so it has just as many uses. And, best of all, it makes using nearly all of the other products on this list a breeze since it will grant you voice access to nearly all of them. Alexa is always there for you with her always growing list of skills. And at just $50, you will get huge value out of this Echo Dot deal. 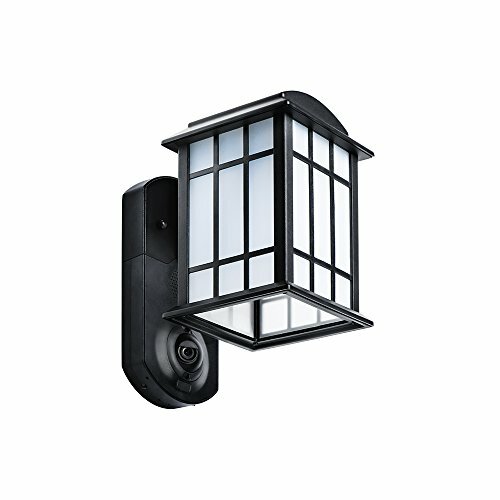 This smart product makes watching the outside areas of your home simple – and stylish. The housing for the camera looks just like any other outdoor light housing but contains the aforementioned camera for security. It has a two way communication tool, recorded video, and a live stream, too. And, of course, you can bet that it connects to Alexa so you cancontrol it with just your voice whenever you want. For $100, you know that this is next to priceless when it comes to protecting your home. These motorized blinds make your blinds a cinch to close. 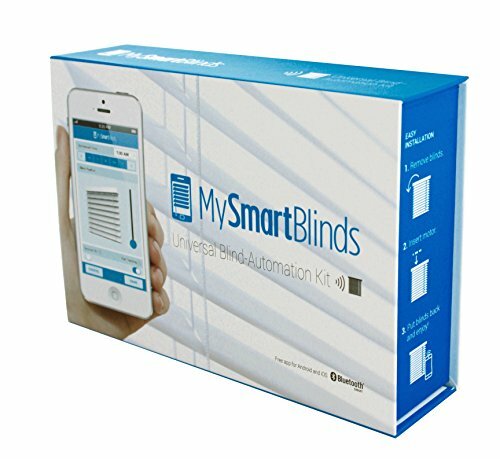 With your smartphone, these out of the box ready motor tools attach to your blinds so that they open and close with a tap on your phone. Additionally, they can be programmed to a schedule so that you don’t even have to bother with them. No hub required and, while we’re at it, no effort required. The battery lasts 6 months – just long enough for a long summer. 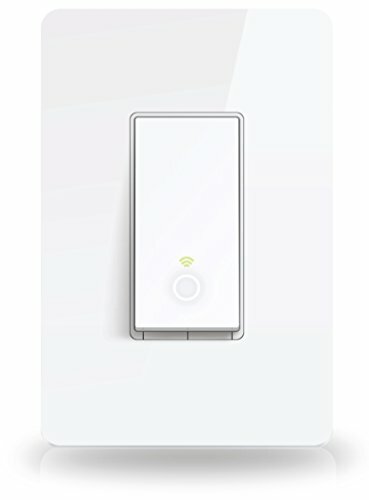 With current smart home technology, you have to own a hub to connect them all to a place you can control them. Lucky for you, one of the best hubs is available on Black Friday at a great discount. The Logitech Harmony Home Hub can connect to Alexa and control everything from your lights to your cable to your TV itself to – well, anything you have plugged into a smart plug. To make your smart home’s heartbeat, you need one of these hubs. That makes this one of our favorite smart home Black Friday deals. Here’s an Amazon product that is perfect in kitchens and bedrooms. The Echo Show is basically an Echo with a screen. 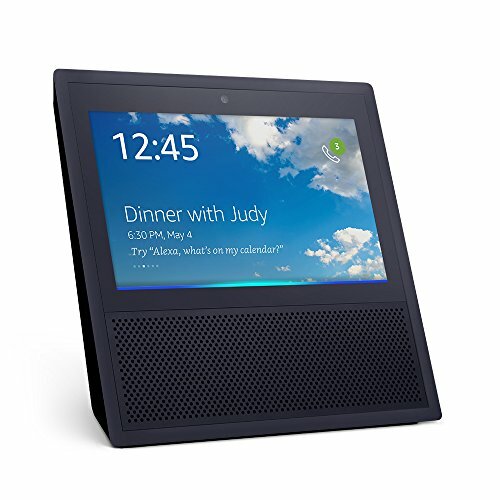 So, it lets you do everything that the Echo does as well as showing you TV, information on your music, and present you the answers to the question you have for Alexa on screen. And, with those smart home technologies that have cameras, you can see a live feed. Check on the baby or your front doorstep right from where you are standing in the kitchen. This light switch is a really convenient option for those who don’t have a home hub yet. 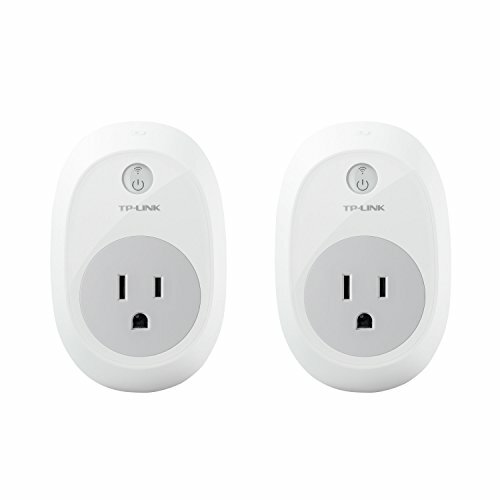 This TP Link switch doesn’t require a hub so you can simply install it and connect itto your Alexa-enabled device for easy voice control. You can even set it in Away-Mode so that you can turn lights on and off while you aren’t home to give the appearance that you are to potential miscreants. 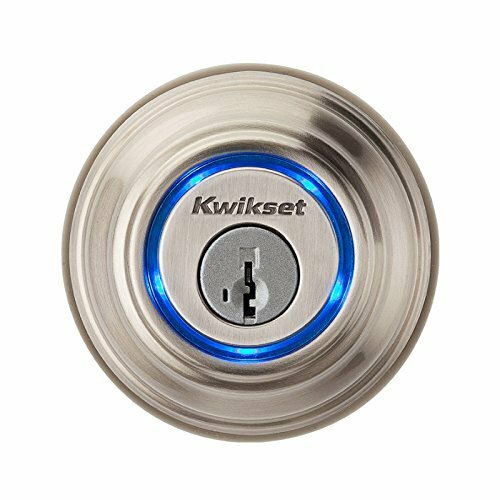 This smart lock is a really interesting option for securing your front door. It turns your smartphone into a key! You just have to tap your lock and it will open for you. It also gives you the ability to send ekeys to others so that they can get in and out with your approval. In the case that you don’t have your phone, though, you can just use a good old fashioned key. With all of this tech in your home, you have to make sure that your WiFi is strong, right? Well, that’s no problem on Black Friday. To give your home some extra kick, hook up this wireless router. It works with Alexa (of course) and has automatic updates for firmware. 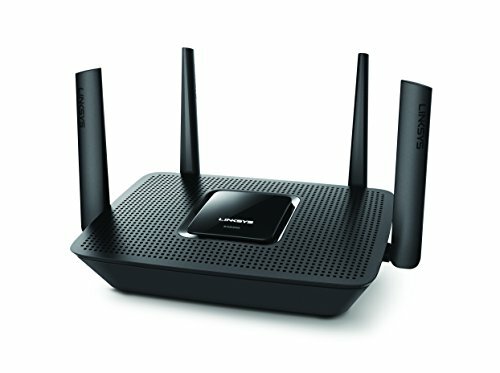 It sends out three different wireless channels for your home’s pleasure so that you can use the internet with no fear. This smart home device is exactly what it says it is. 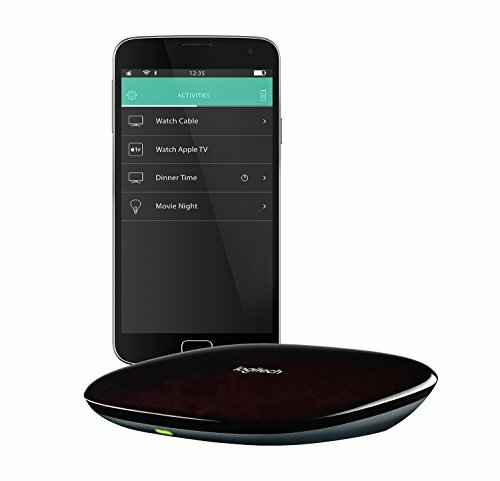 Do you feel like you have six remotes for your devices in your living room? Try having just one – that responds to your voice, too. Bounce your TV between inputs (from movies to TV), and adjust your surround sound settings all just as easily as asking Alexa a question. And without juggling remotes! You paid how much for all of that tech – so mind as well spend just a little more ($50) to handle it all! Just in case you forgot, Black Friday is the day after Thanksgiving. Every year, companies across the nation discount practically everything in their entire store causing gigantic crowds of consumers to come out to their storefronts. E-commerce kicks up too and the Black Friday smart home discounts that go on Amazon are some of the best, though the real bargains there come on Cyber Monday. What’s Cyber Monday All About? Cyber Monday is the online version of Black Friday. Online sites slash prices dramatically, so anyone who couldn’t get out and cash-in on the Black Friday sales can still get them. Cyber Monday is the Monday following Black Friday and some stores actually overlap with Black Friday, running Cyber Monday deals the weekend before. Wow! Are you as excited as we are? It looks a lot like you can take your home to the future for just about as low of a price as ever on this Black Friday. All of the best smart home Black Friday and Cyber Monday deals are here on this page – and they’re all on Amazon. We’re not going to say you would regret it if you didn’t take advantage of many of the deals – but you would regret it if you didn’t take advantage of many of these deals!